Last but not least.... here is what I made for dinner with the Arugula and Chile Goat Cheese that I purchased at the market. I added some spinach, dried cranberries, candied walnuts, a few sliced onions (I would have preferred red onions, but I didn't have any at home... use what you have!) 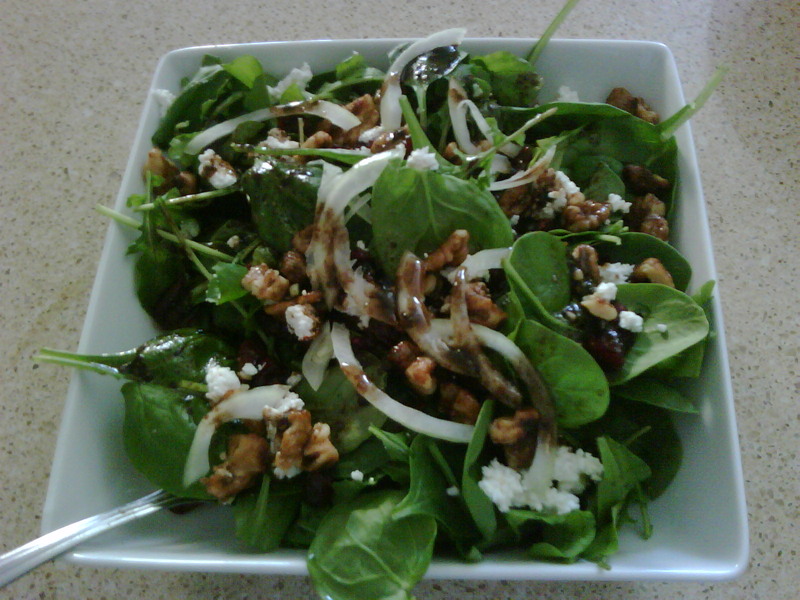 and a delicious homemade balsamic vinaigrette (recipe listed below). You guys enjoy your weekend! We'll see you back here on Monday for "Monday Funday"! you make everything look good lol....and I hate goat cheese! Full of vegetables . . it will will be full of nutrition . . will try in my weekend dinner . . .